We invite you to join us November 10 for the second event in our Stead Chair on International Philanthropy Lecture Series. On this occasion, you have the opportunity to hear Dr. Kenneth Prewitt, Carnegie Professor of Public Affairs at Columbia University, discuss how foundations know if they are making a difference. Can Foundations Know If They Are Making A Difference? Following Dr. Prewitt's lecture, an assembled group of thought leaders, expert practitioners, and scholars will serve as discussants to offer further insight into the prevalence and place of performance metrics in the philanthropic work of foundations. 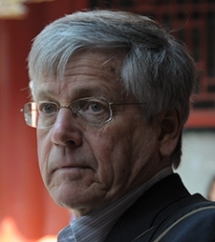 Kenneth Prewitt is the Carnegie Professor of Public Affairs (SIPA); Director, Future of Scholarly Knowledge; Co-Chair, and Special Advisor to the President at Columbia University. Non-academic posts include Director of the Census Bureau, President of the Social Science Research Council, and Senior Vice President of the Rockefeller Foundation. Prewitt currently chairs the Division on Social & Behavioral Sciences of the National Academies of Science, and serves as President of the American Academy of Political & Social Science. His most recent book is titled: What is Your Race? The Census and Our Flawed Effort to Classify Americans (Princeton, 2013).